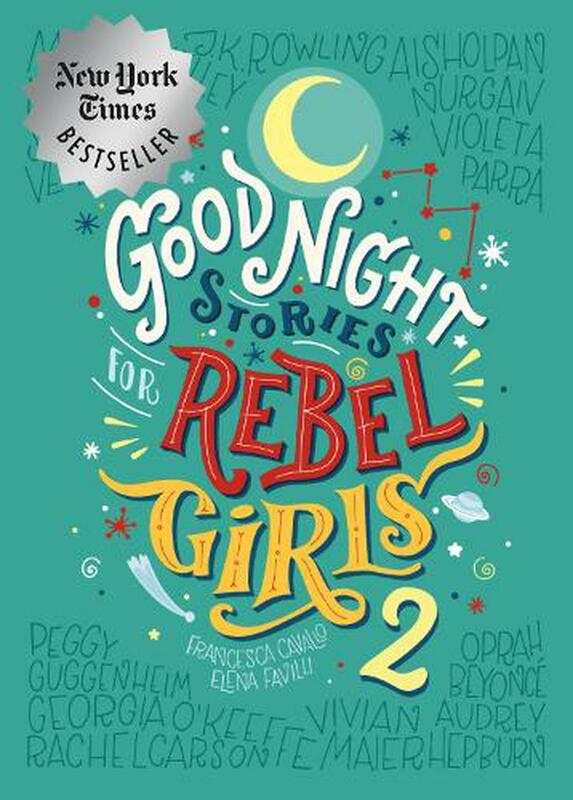 Good Night Stories For Rebel Girls 2 features 100 new bedtime stories, each inspired to the life and adventures of extraordinary women from Nefertiti to Beyonce. Good Night Stories For Rebel Girls 2 features stunning artwork created by 70 female artists from all over the world. 100 NEW PORTRAITS, 100 NEW STORIES: Good Night Stories for Rebel Girls 2 is an entirely new collection of 100 bedtime stories about extraordinary women from all over the world. It boasts a brand new graphic design + 100 incredible new portraits created by the best female artists of our time. DIVERSITY: Having a passionate community that spans across 70+ countries is a great way to discover incredible stories. The stories in Volume 2 are 100% stories you told us about. Now, we can all share them. We can't wait, because they truly are breath-taking. A MAP: Good Night Stories for Rebel Girls 2 includes a beautiful, detachable map, so your children can check out where each of their heroes comes from. A GLOSSARY: It has an illustrated glossary, so your kids can expand their vocabulary while learning about incredible female role models. This is the type of books all parents should get their little girls. These are the type of women we should have all known from a young age. They should be household names, but sadly they are not. We need to teach our daughters from a young age that these are the type of women they should look up to and to aspire to be. Awesome book for girls, my daughter loves it.